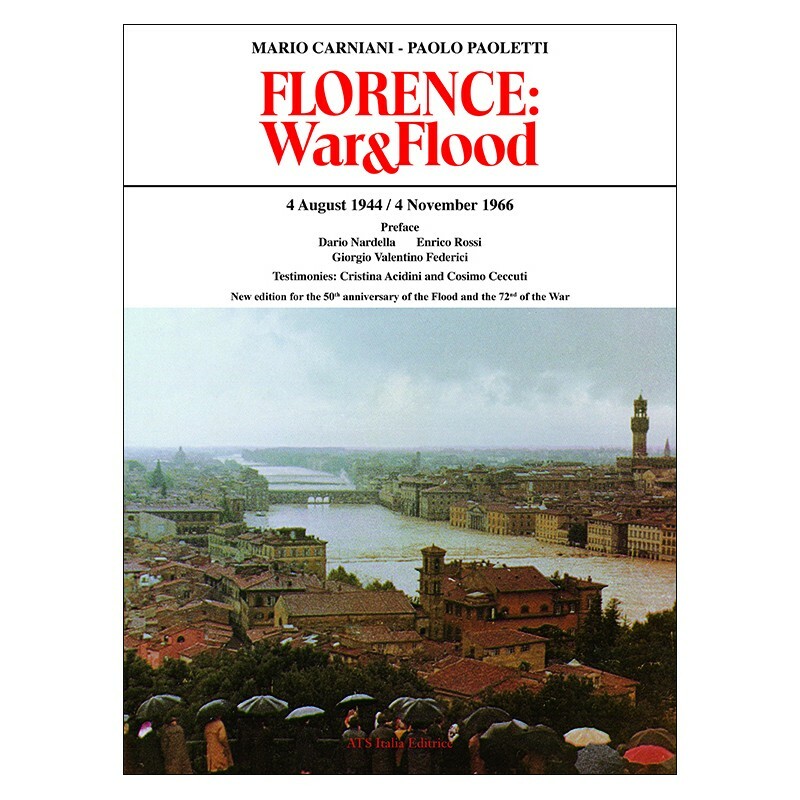 The idea for this book came from a simple consideration: that the two key moments in Florentine history, after the siege of 1530 and after the city became capital of Italy in 1865, were the Liberation in 1944 and the 1966 flood. 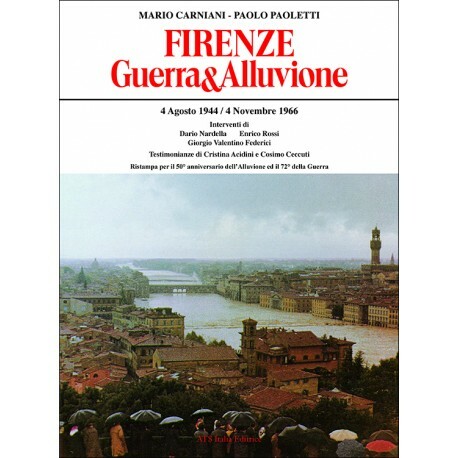 The author of the first half of the book experienced the flood in Montelupo Fiorentino, and as soon as possible returned to Florence by bicycle, following the hill road that had been taken by the liberating Allies; then, after initiation in flood-repair at the Biblioteca Nazionale, he led a team of young Romans who provided assistance to the artisans of Santa Croce. 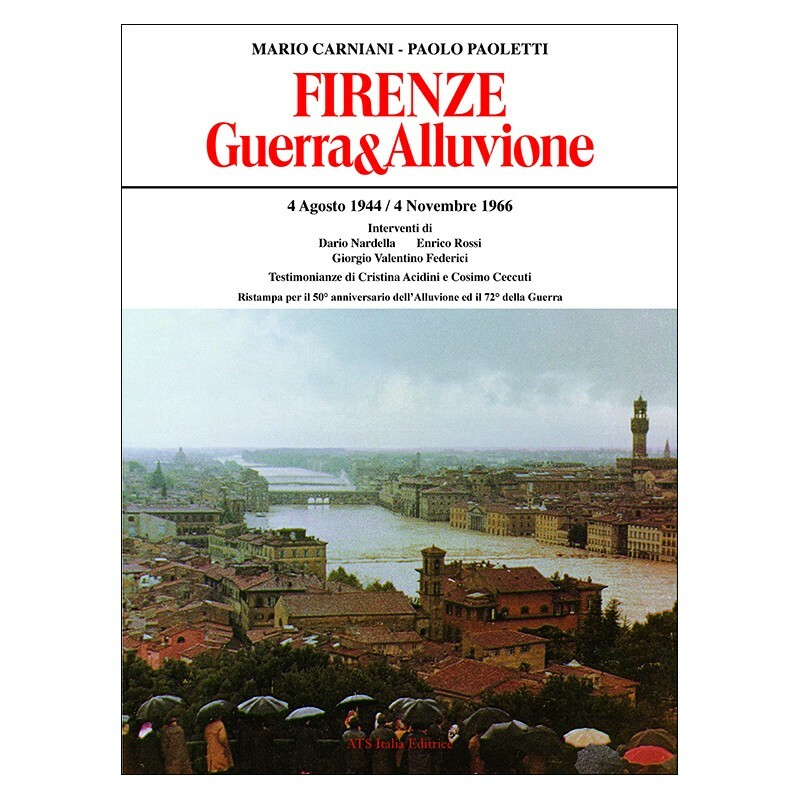 The author of the second half has childhood memories of the war fought on the hills of Fiesole; during the flood he was a volunteer with the Fire Brigade, “where the lads in helmets clench their firsts and run whilst others bend their knees”. All this experience of ours, and our research in the archives to study sine ira the two tragic episodes, induced us to produce a book that was very well illustrated but at the same time clear and documented, intense but readable. Many of the actors in the story that we tell are, alas, no longer with us, yet we will always honour the memory of their beau geste, one that they themselves would never wish to hear called ‘heroic’. They, in peace and war, were motivated by altruistic feeling and by their great generosity of heart. For this reason, we wanted the feelings that derived from them and from our own love of Florence to be transmitted to the generation of the computer age, so that the young may better understand who we were and what we experienced. Are you a dealer ? A distributor ?